For a guaranteed friendly and reliable service throughout the year look no further than Southern Fuel & Farm Supplies Ltd, we are your local family supplier of top quality solid fuel. In Autumn of 2017 we were delighted to launch our new solid fuel supplier CPL Fuels Ireland / Homefire. This will offer you a larger variety of coal. New products consist of, Columbian coal, stove heat and the well known Supertherm which is a smokless product for stoves and open fires. Colombian Coal is an extremely popular coal which is ideal for use on open fires, and is one of the highest quality coals available today. Naturally low in ash, moisture, and sulphur, Colombian Coal will light easily and give a strong and long lasting fire with a natural and attractive flame. Southern Fuel & Farm Supplies Ltd association with Bord na Mona and Homefire, bring you the warm welcome of a coal fire. 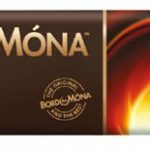 As local and global pressure, has grown to find more sustainable ways of producing power and conserving resources, Bord na Mona has developed many innovative new products to meet those coal demands. Our Firelogs are naturally dried , that give off high heat with an attractive flame. They are packed in an easy to carry net bag, which will let the logs dry out naturally while been stored. These logs are ideal for open fires, wood burners and multi-fuel stoves.